Grand Hotel de l’Univers, Reims is a cultural, stylish hotel; situated in the centre of Reims. 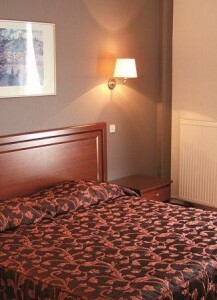 It is a business- friendly hotel located close to the Museum of Fine Arts and Reims Cathedral. The hotel’s nearby spa is a great place to relax and the traditional-styled hotel building offers a warm, inviting base. 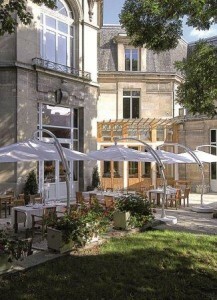 Hotel de l’Univers is perfectly located opposite Reims TGV and the Jardin Colbert. It is just a short walk from the Cathedral, classified by UNESCO as a World Heritage site. The hotel has been a key institution within the city since 1930. The hotel also owns the luxurious Zone Zen Spa (not located within the main building), providing relaxing massages and body treatments. They also have a traditional restaurant which serves regional foods and has a classic wine list as well as a gastronomic restaurant. There is also a bar, where you can relax and listen to the musical entertainment provided. For guests with a car, there is an underground public car park very close by. The hotel contains 42 rooms. Each are very comfortable and equipped with a TV, telephone, a fully stocked mini-bar and an en suite bathroom with a hairdryer.